Finally, the contentious deal of an air defence missile system (S-400) between India and Russia has been signed by President Vladimir Putin and Indian Prime Minister Narendra Modi on October 5, 2018. Almaz Central Design Bureau of Russia developed S-400 Triumph. The new system has replaced air defence systems S-300P and S-200 of the Russian Army. The S-400 Triumph system is a next-generation mobile air defence system, which is capable of destroying aerial targets at an extremely long range of up to 400 kilometres. It is pertinent to mention that India is creating an alarming situation in the region by signing the deal and its efforts for the S-400 deal would surely be proved detrimental to the region. Induction of S-400 in Indian defence structure will cause severe threats to the strategic stability in the region. Why was India so much ambitious for achieving this deal? Because India is following the track of offensive strategy to gain at least regional supremacy. However, in pursuance of such offensive tracks, it is not possible to achieve peace at the regional level, and it would also become impossible to maintain the stability of the region. 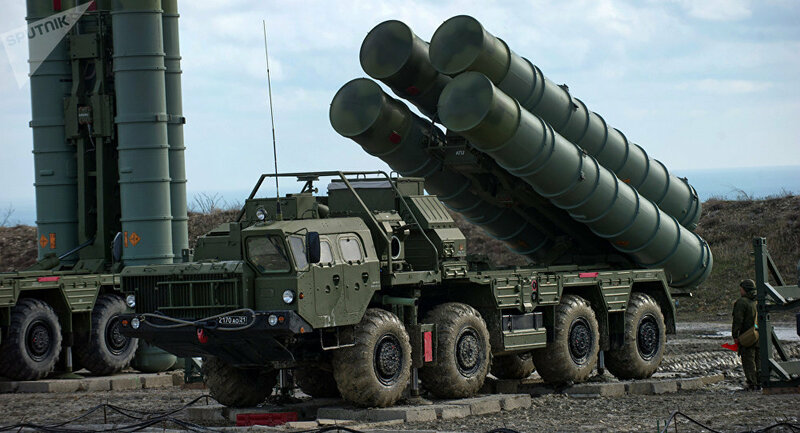 The S-400 Triumph system under India’s command will contest Pakistan’s capability to conduct Air defence or Air offense operations in its airspace. It will also augment India’s ability to counter Pakistan’s aerial pre-eminence.Pakistan will be forced to invest in technologies to counter or develop comparable systems to highlight weaknesses in India’s air defences to uphold regional balance. Following the May 1998 nuclear tests by both sides, Pakistan had proposed a Strategic Restraint Regime in the region, advocating against the acquisition of BMD systems due to their destabilizing effect. Furthermore, Pakistan retreats its commitment to the policy of maintaining credible minimum deterrence and maintaining strategic balance in the future as well. Whereas, India is acting contrary to it and finalized the deal of S-400 without because such deal would create the atmosphere of insecurity in the region and encourages the neighbouring states to act in the same or more intensified manner. Acquisition of an air defence missile system(S-400) by India also has much potential to trigger an arms race in the region. Whereas, Pakistan at various forums raised the voice that arms race should not be followed, as it would be proved disadvantageous for the peace of the entire region. A few days ago President of Pakistan Arif Alvi said that country has no intention of joining an arms race, and nuclear deterrent is only meant to maintain a strategic balance in the region. But, India’s role and furtherance in the domain of strategic weapons may trigger an arms race in the region. India is continuously trying to disturb the existing pattern of deterrence without keeping in view that repercussions would be dire for the whole region. Such actions of India are becoming a burning point of concern not only for the entire region but also for the whole of the globe. Pakistan doesn’t want to involve itself in the dire and unending race but the behaviour of Indian strategists, government and decision makers, is compelling Pakistan with full force to react accordingly. It seems India is not as much sincere to its population as it should be because the way India is spending its tax payer’s money on defence sector depicts that it does not care for the well being of its population and its only focus is to attain regional supremacy. Considering the investment of $5 billion, which India is spending for the acquisition of S-400, there are many other sectors in India which are severely lacking only due to inappropriate care and a shortage of funds, e.g. education, skill development, urbanization, transparency, health, sanitation, and water scarcity, etc. The international community should not remain silent on this development. Because silence of international community will encourage India to move further for such kind of advancements. Resultantly, it would become imperative for the competitors of India in the region to acquire at least same or may be upgraded kind of weaponry to maintain equal capabilities. Moreover, the international community should also be mindful of the fact that Pakistan is the only state in the region, which is fighting against terrorism not only for its own sake but to ensure the peace at the global level. Considering the precious sacrifices that have been given by Pakistan in the war against terrorism, the international community should take such measures to refrain India from committing irresponsible actions against Pakistan that could be disastrous to the security and stability of the region.